I’m glad to hear it was a success. I’m looking forward to Protospiel Milwaukee this Friday… except for the part where my prototypes are never as ready as I want them to be! 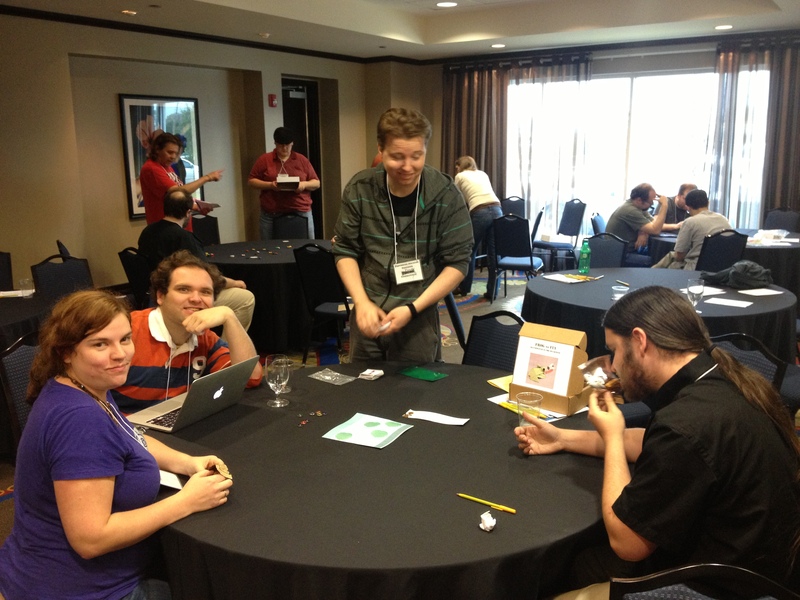 Now that Protospiel Milwaukee is over, here are a couple of things that I want to remember to do for future Protospiels (including Ann Arbor in July). 1. 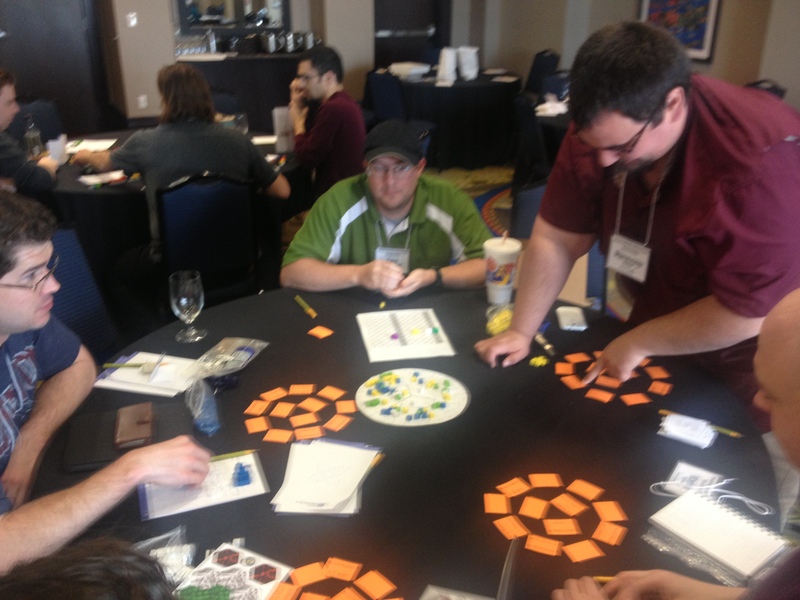 With the designer’s permission, take photos of all the games I test, and get the names of the designer and the game. This is just for my own purposes, not to share with the rest of the world. Many of us will bring the same designs to multiple events, and I want to be able to see them evolve, especially if they are later published. 2. Again, with permission, get the names of everyone who tests my games, so that if the design is ever published I can give them playtest credit. 3. Prepare a short 10-15 minute interactive demo for each of my games. There isn’t always time for a full playtest, but there might be time to show the highlights and get feedback. I had a publisher ask to look at two of my game designs, and I wasn’t prepared, so I stumbled all over myself explaining rules and mechanics rather than actually showing the game in action. 4. Have business cards. Nothing elaborate is necessary, just a name and email address and a surface to scribble notes on. I was asked for these and didn’t have them, and that’s just sad.